North Bethany is about as secluded as you can get this close to Ocean City, Maryland, and yet still close to all the area's attractions. This area is made up almost entirely of prestigious communities of single family homes, town homes and condominiums set against sand dunes with gorgeous views of the ocean or the bay. Most of these communities have private beach or bay access, so there are no crowds of vacationers to contend with while you soak in the sun or play with your kids in the waves. Visit the Delaware Seashore State Park, a 2,825-acre park where you can fish or kayak, go camping with your family or swim and sunbathe on two guarded beaches complete with modern bathhouses. north Bethany is the perfect place for those who seek a peaceful and quiet vacation spot. A Rare Find In North Bethany... Direct Oceanfront Home With Private Beach Access, Located In The Prestigious Gated Community Of Bayberry Dunes. Enjoy Unobstructed Sunrise Views And Fireworks On 4th Of July From Your Back Deck. Ride Your Bike Into The Town Of Bethany Just A Few Minutes Away And Take Advantage Of Restaurants, Shopping And The Boardwalk. This Ample Size Home Has Room For The Entire Family, Two Master Suites With Private Bathrooms, Along With Three Other Spacious Bedrooms And Two More Full Baths. Everyone Will Enjoy The Large Loft Space On The Fourth Floor, Suitable For Extra Sleeping Room Or A Game Room. The Open Concept Main Floor Is The Perfect Space For Entertaining. The Living Area, Kitchen, And Dining Room Feel Like They Are Sitting On-top Of The Blue Ocean, With Views From Every Angle. Ownership Has Stayed Within One Family And Is Rented Only A Few Weeks In The Summer Months. Home Is In Exceptional Shape And Shows Pride In Ownership. There Is Potential For $10k A Week In The Summer Months. Call Today For A Private Showing On This Gorgeous Oceanfront Home, And Your Beach Experiences Will Never Be The Same. True North Bethany Oceanside Living; A Gated Community, Wide Dunes And Spacious Beach ...the Walkway To The Blue Ocean Is Just Steps Away...whether You Are Entertaining From The Ocean Decks, Gourmet Kitchen Highlighted By Exquisite Viking Appliances Or From The Custom Bar You'll See And Hear The Ocean. Both Master Suites Overlook The Ocean. Enjoy Solitude Or Entertain; This Totally Remodeled Home Features A Fireplace Surrounded By Custom Cabinets, A Breakfast And Cocktail Area That Opens To The Outdoors And A Huge Garage/storage Space To Play In When The Weather Is Bad And Store All The Beach Equipment, Ocean Kayaks, Bikes And Cars. Summer 2018 New Hvac And The Home Is Beautifully Maintained And Ready To Call It Your Beach Home. 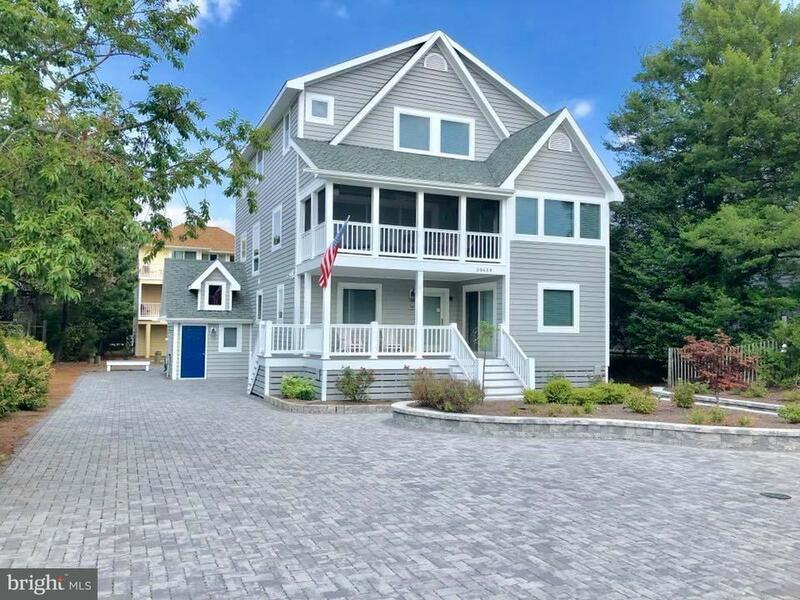 Gorgeous Coastal Home Just One Lot Off The Oceanfront Featuring A Stunning Great Room With Window Lined Walls, Vaulted Ceilings, Hardwood Floors, And Fabulous Kitchen. This Meticulously Maintained Home Was Beautifully Remodeled Paying Special Attention To Details And Fine Finishes. The First Floor Of The Home Has A Large Master Suite With An Impressive Bathroom And Access To An Expansive Covered Deck. Two Additional Bedrooms With A Jack And Jill Bathroom Are On This Floor. A Second Master Bedroom With A Private Porch Is On The Main Level With The Expansive Great Room. The Third Level Offers A Bunkroom And Den With Ocean Views. Incredible Outdoor Living Space With A Large Sun Deck, Screened Porch, And A Covered Porch That Wraps Around The Home. Perfectly Positioned On A Beautifully Landscaped Lot, In A Highly Desirable Gated Community With Access To Pool And Tennis, This Exquisitely Furnished Home Is Just Steps To The Private Lifeguarded Beach. 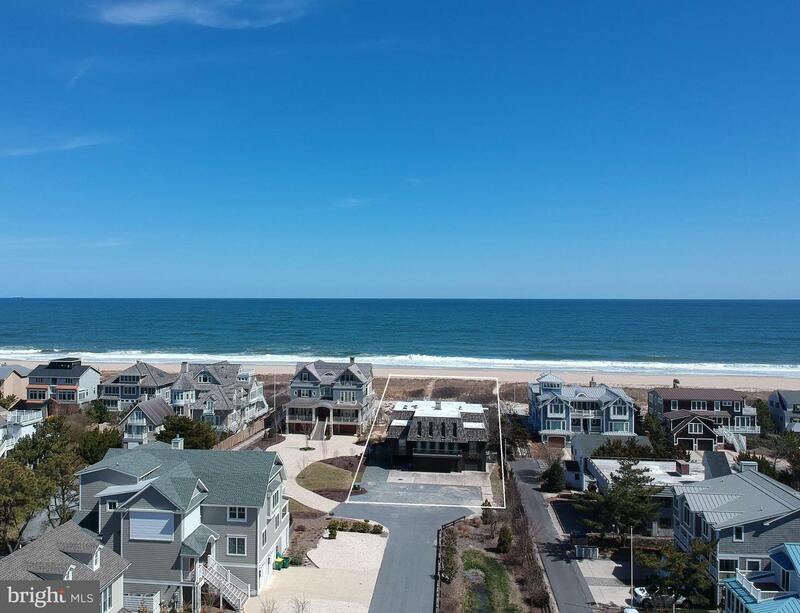 Welcome To Ocean Ridge In North Bethany Beach! This Coastal Beach Retreat Is Located In A Prestigious Gated Community One Home Off The Ocean And Features Ocean Views From The Third Level Wrap Around Deck, Second Level Covered Patio, And Two Screened Porches. Private Guarded Beach Is Just Steps Away. Open Floor Plan Features A Kitchen With Island, Dining Area, And Great Room With Gas Fireplace With Multiple Sliders Out To The Deck With Ocean Views. Enjoy The Ocean Breezes On The Screened Porches. Master Bedroom And Additional Full Bathroom On This Living Floor Level. Second Level Features Four Bedrooms, Three Bathrooms, And Family Room. Top Level Has A Bonus Room Or Could Be Sixth Bedroom. Come Home From A Day At The Beach To Two Outdoor Showers And Ground Level Storage Room For Your Beach Toys. Lots Of Parking For Family And Friends In The Three Covered Carports And Large Driveway. Ground Level Through Level Two Has Elevator Shaft (currently Closets). Ocean Ridge West Across Three Street Has The Community Pool And Tennis Courts For You To Enjoy. Start Enjoying Beach Life Today! Your Beach Retreat Awaits! 7 Bedroom Home In The Prestigious North Bethany Community Of Ocean Ridge. Entry Level Master As Well As 2 Masters On 3rd Floor. This Home Is Selling Completely Furnished, Turn Key Ready. Past Extensive Rental History. Private Gated Community With Life-guarded Beach And Community Pool And Tennis Access In Ocean Ridge West. New Paver Driveway And Landscaping And Exterior Walls And Siding. Updated Kitchen And Enclosed Screen Porch. Open Floor Plan On The Main Living Level. Call To Schedule Your Showing Today! Immaculate Oceanblock Beach Home With A Desirable Open Floorplan Featuring A Bright Great Room And Master Bedroom On The Main Floor. This Spacious 5 Bedroom Home Has Many Notable Features Such As Vaulted Ceilings, Great Natural Lighting, Hardwood And Tile Flooring, A Stunning Kitchen, Elevator And Ample Outdoor Living Space With An Expansive Deck And Screened Porch. Offered Fully Furnished, This Exceptional Home Is Located In A Quiet Gated Community With Exclusive Access To A Pristine, Uncrowded Beach With Life Guards. This Timeless Bayfront Home With Nantucket Inspired Architecture Creates An Idyllic Waterfront Residence. The Spacious Open Floor Plan With Soaring Ceilings And Window Lined Walls Maximize Panoramic Views Of The Water And Natural Wetlands. This Impressive Property Boasts 112 Feet Of Bulkheaded Waterfront Which Offers Easy Access To The Indian River Inlet. Featuring A Desirable Floorplan With A Master Suite On The Top Floor As Well As A Second Bedroom Or Office And 3 Bedrooms And 2 Full Bathrooms On The Floor Below. This Home Is Perfect For Comfortably Entertaining With Plenty Of Space Both Indoors And Out With A Huge Second Living Room With A Wet Bar And An Expansive Bayside Deck. This Home Offers The Convenience Of An Attached Garage As Well As A Ground Level Pantry With A Second Refrigerator And Sink. Desirably Located On A Quiet Street In A North Bethany Community With A Private Beach, Tennis Courts And A Marina, This Home Is Offered Fully Furnished. Exceptional Oceanfront, End-unit Townhome With The Rare Opportunity To Step From Your Back Deck Directly Onto A Pristine Private Beach. This Coastal Retreat Offers A Wider Floor Plan Than All Other Oceanfront Properties In Atlantic Watergate And The Views Of The Shoreline From Every Level Are Unparalleled! With Wide Plank Hardwood Floors, White-washed Walls, Exposed Beams And Multiple Decks And Screened Porches, This Property Perfectly Blends Traditional Cottage Charm With The Comforts Of Today. Enjoy The Sunrise Over The Atlantic From Every Level Of This Home And Watch The Sunset Over The Bay From Your Outdoor Deck. This Meticulously Maintained Home Is Offered With Tasteful Furnishings And While It Would Make An Exceptional Investment Property, It Has Never Been Rented And Is Ready To Be Enjoyed This Summer! Welcome To The Epitome Of Bethany Living In This Upscale Coastal Home, Just 1.5 Blocks To The Private Beach! The Home Is Located In The Gated Community Of Ocean Ridge West, Which Offers A Pool, Tennis, Kayak Launch & Ramp, And Is A Short Walk To A Guarded Beach. Beauty And Comfort Abound In This 5br/3.5ba Stunner. You'll Discover A Light Filled, Inverted Floor Plan With Vaulted Ceiling Living Spaces On The Upper Floor, Southern Exposure And Two Spacious Covered Decks Spanning The Length Of The Home. Enjoy Maximum Relaxation And Views Of Gorgeous Sunsets. The Open Floor Plan On The Upper Main Level Provides You With The Perfect Set Up For Entertaining And The Four Additional Bedrooms Plus A Den On The First Level Allow For Plenty Of Privacy As Well.the House Has A Neutral And Modern Decor Throughout. The Updated Kitchen With New, High-end Kitchen Aid Appliances Including A Double Oven Range And Concrete Counter Tops Are Perfect For The Gourmet. Added Features Include Freshly Painted Interior And Refinished Hardwood Floors On Both Levels, An App-based Home-automation System, An Outdoor Shower, Two Large Storage Rooms And Covered Parking For 2 Or 3 Cars. It Was Professionally Decorated By The Shop Of The Four Sisters And Featured In Cottage Style Magazine & Waterside Cottages. The House Shows Like A Model Home And Will Be Sold Fully Furnished!an Incredible Proven Rental History Averaging Approximately $70,000 Annually. Truly A Must-own, This Home Makes The Perfect Vacation Home Or Year Around Residence. Enjoy It All From This North Bethany Oceanblock Timeless Beach Home! Start Your Days On The Quiet Private Beach, Enjoy Fun In The Sun Without The Daytime Crowds, And Soak In The Exceptional Sunsets Looking West From The Multiple Decks. A Great Value And Unique Opportunity To Own In A Private Gated Community With Guarded Beach. This Home Offers High Quality Construction That Your Family Will Enjoy For Many Years To Come. Being Sold Furnished With Sun-filled Living Room, Fireplace, Updated Kitchen With Granite And Stainless Appliances, Vaulted Ceilings, Hardwood Floors, And Large Master Suite On The Main Level. 2nd Master Has Incredible Bay View And En Suite Bath As Well As Balcony Access. Two Additional Guest Bedrooms And A Loft Ensure You Have A Space For Everyone. Home Is Constructed Over Natural Wetlands, Perfect For Nature-lovers. Enjoy The Area's Wildlife And Magnificent Views From Your Choice Of The Expansive Deckspaces. 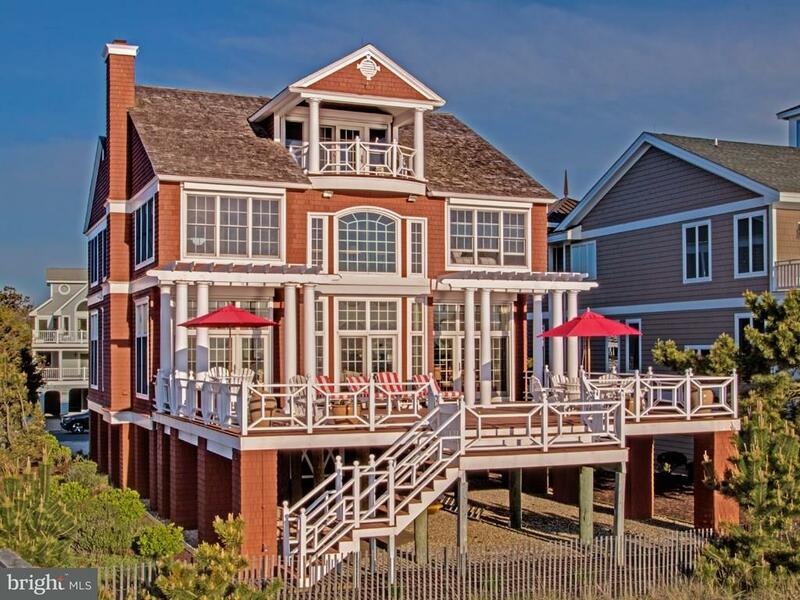 Treat Yourself To A Crab Feast Or Cup Of Coffee On The East-facing Screened Porch. Long Private Driveway And Lush Landscaping Provide A Substantial Buffer From The Main Road And Plenty Of Parking. Just 6 Homes From The Sand And Surf And 3 Blocks To One Of The Area's Noted Restaurants, This Will Become Your Ultimate Retreat. Oceanblock Beach Home With An Open Floorplan, An Abundance Of Outdoor Living Space, And Limitless Potential. This Home Is Positioned On A 62 Ft Wide Lot In The Gated North Bethany Community Of Sea Del Which Offers Tennis And A Private Life-guarded Beach.the Bright And Spacious Interior Of This Home Coupled With Multiple Screened Porches, Decks And A Roof Top Deck With Ocean Views Create The Perfect Beach Getaway. This 5 Br Home Is Nestled In A Small Enclave Of Custom Built Homes In A Private North Bethany Community. 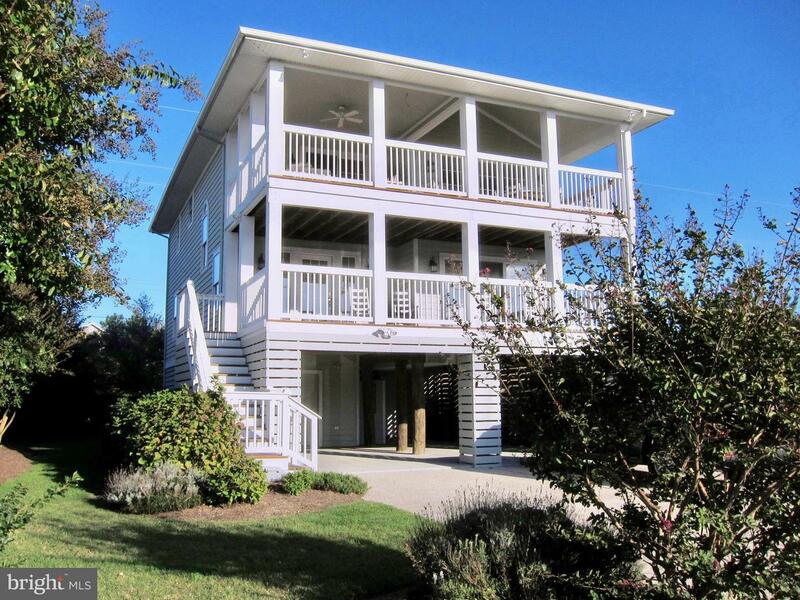 The Home Offers Multiple Decks And Screen Porches With Views Galore That Add To The Overall Coastal Style Living ! Within The Community You Have Access To A Private Beach, Pool, Tennis And A Pier/dock Where You Are Able To Launch Kayaks Or Paddle Boards. No Other Community Offers All Of This! The Home Is Being Offered Fully Furnished And Has Had A Previous Rental Income If An Investment Is What You Are Looking For. Delaware Offers Low Property Taxes And No Sales Tax! Why Wait On This Fantastic Opportunity To Own Your Oasis At The Beach. Just One Lot Off The Oceanfront, This Townhome Is Only Steps To A Pristine Uncrowded Beach. Completely Renovated Down To The Studs Including New Electrical And Plumbing, This Home Is Like-new And Shows Like A Model With Fine Finishes Throughout. Notable Features Include Beautiful Wood Flooring, Upgraded Cabinetry And Countertops, Subway Tile Backsplash, Designer Furnishings, And So Much More! The Rooftop Sundeck Is Perfect For Entertaining Or Just Relaxing With Incredible Views And Ocean Breezes. 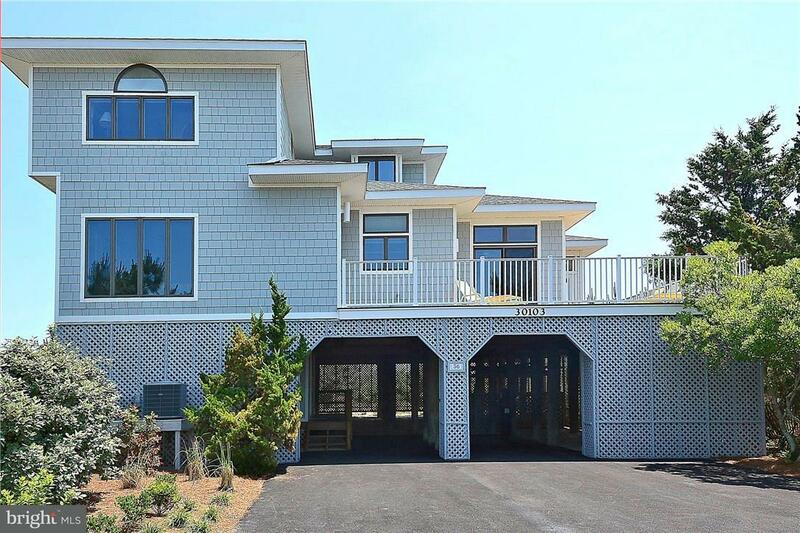 Located In The Community Of Tower Shores In North Bethany, Just Minutes From Rehoboth Beach And Bethany, This Property Is Not Currently A Rental And Would Be The Perfect Location To Spend Your Summers! Karla handled a tricky closing very well and was very good handling us and the buyers.